Hitting the gym can be tough. 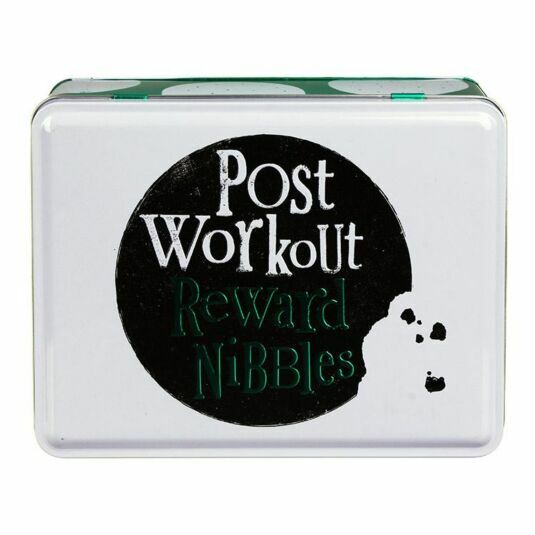 Sometimes you need to reward yourself for all that effort with a cheeky little snack. Go on… you deserve it! 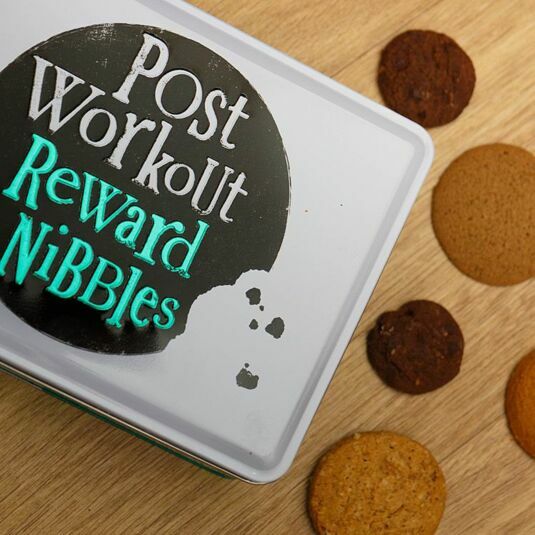 This storage tin is perfect for keeping all of those naughty treats fresh, such as chocolate bars, cookies and crisps – whilst also keeping the contents from prying eyes! 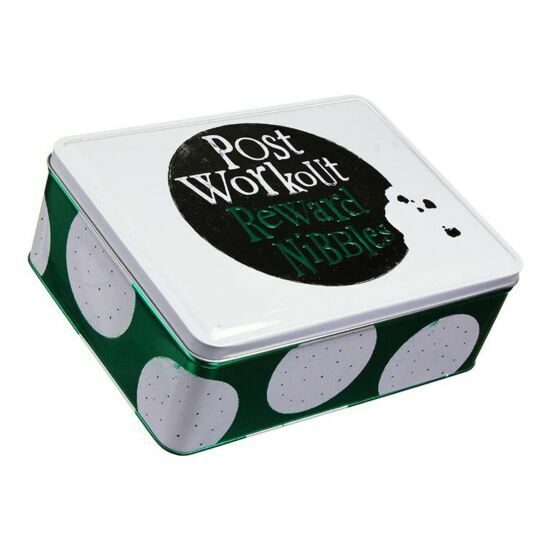 This rectangular tin is a deep metallic green, with a hinged white lid and the silhouetted graphics of white cookies dotted around the base.